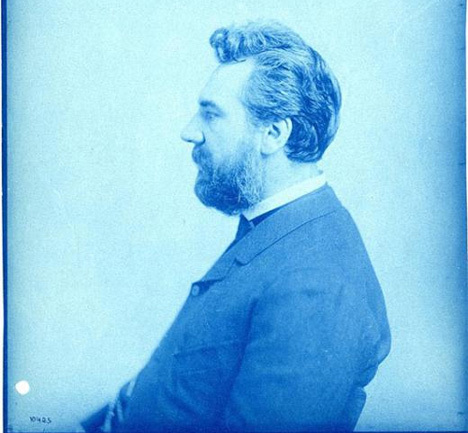 The name Alexander Graham Bell is synonymous with sound – he is credited as the inventor of the telephone and conducted extensive experiments into the recording and reproduction of sound. But curiously enough, even after all of his exhaustive work with the subject, we still had no idea what Bell’s own voice sounded like. The recordings he’d made in his laboratory had been lost to time, either degrading significantly or being simply incompatible with the playback technology available to us today. Throughout his career, however, Bell donated to the Smithsonian more than 400 of those discs and cylinders on which he had recorded sounds during his experiments. One of these was the wax and cardboard disc pictured above. 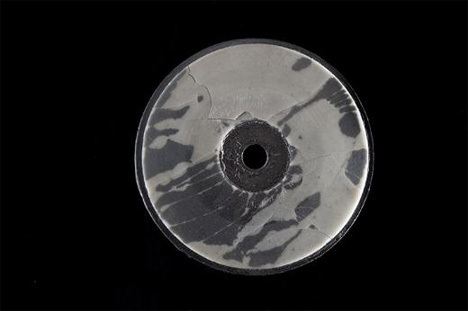 Being unequipped with the proper apparatus to unlock the recordings from the aluminum, wax, cardboard, glass, paper, plastic and other materials on which they had been captured, Smithsonian officials feared they may never know what the recordings held. Now, thanks to the relative magic of modern technology, scientists are able to use novel high-tech methods to unlock the sounds recorded during those early experiments. The video above shows part of the process, but for a real treat head over to the Smithsonian, where they have a short sample of Alexander Graham Bell’s voice – perhaps the only one in existence. See more in History of Tech or under Vintage & Retro. May, 2013.